Genealogy Girl Talks is an author, blogger, and family historian who enjoys sharing her knowledge, tips, tricks, and advice with others. She hopes she can help you along your own Genealogy & Family History journey! So, let’s talk all things Genealogy & Family History! In this episode of Let’s Talk Genealogy, I’m sharing a Quick Genealogy Tip! Hey, if you’re a Genealogy & Family History Blogger, submit your blog to the Genealogy Blogger Spotlight! You can find more info on the Genealogy GIrl Talks website. | Don’t forget to join the Genealogy Photo A Day on Instagram! | Hey, send me an audio recording of how you began your Genealogy & Family History journey! I may include it on a future podcast episode! LTG03: What are hashtags and why you should be using them. In this episode of Let’s Talk Genealogy, I’m sharing ALL about hashtags! Let Talk about what hashtags are and why you should be using them. I also give 10 BONUS Tips for using hashtags on Instagram. 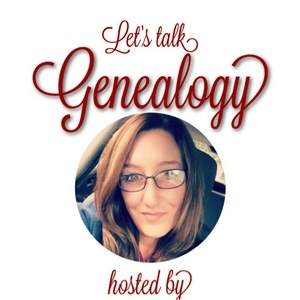 You can find the Blog Post/Show Notes related to this episode at http://genealogygirltalks.com/hashtags | Hey, if you’re a Genealogy & Family History Blogger, submit your blog to the Genealogy Blogger Spotlight! You can find more info on the Genealogy GIrl Talks website. | Don’t forget to join the Genealogy Photo A Day on Instagram! | Hey, send me an audio recording of how you began your Genealogy & Family History journey! I may include it on a future podcast episode! LTG02: My Favorite Cousin Calculator | Learn about my favorite cousin calculator! You can learn more at http://www.GenealogyGirlTalks.com! Come join Genealogy Photo A Day on Instagram (http://instagram.com/GenealogyGirlTalks). LTG: My Romance Novel - Naming the Man // Help me name the man who comes in and sweeps Maggie off her feet as only a true romance novel can do! Maggie is a mid thirties woman who owns a bookstore. She meets an author who is everything she ever dreamed about. He’s tall dark and handsome. The only problem is he needs a name.